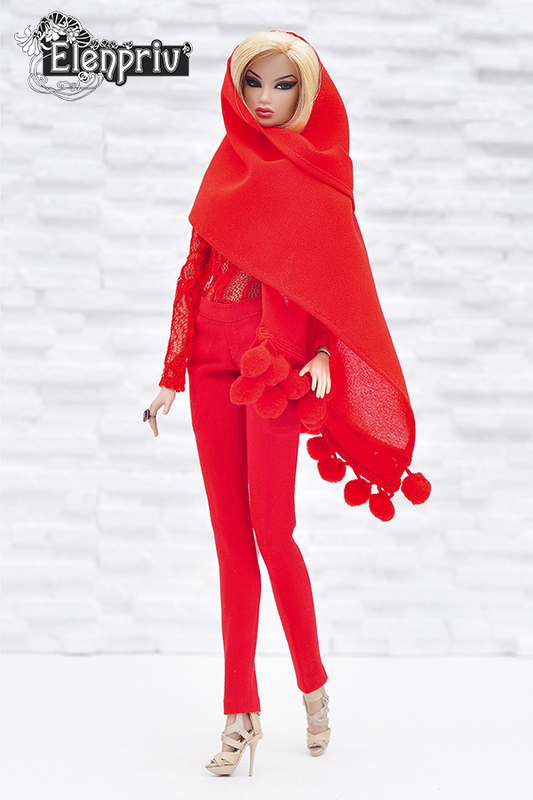 Red crepe scarf for Fashion Royalty FR2 dolls and similar size dolls (Eugenia, Agnes, Veronique, Kyori, Natalia, Adele, Elise, Dania, Korinne etc.). Material: crepe (polyester). Scarf is 40 cm (15,7 inches) long and 9 cm (3,5 inches) wide. Models: Quicksilver Kyori Sato 12 inch fashion doll by Integrity Toys Jason Wu dolls, Kyori Sato Red Blooded Woman 12 inch fashion doll by Integrity Toys Jason Wu dolls. 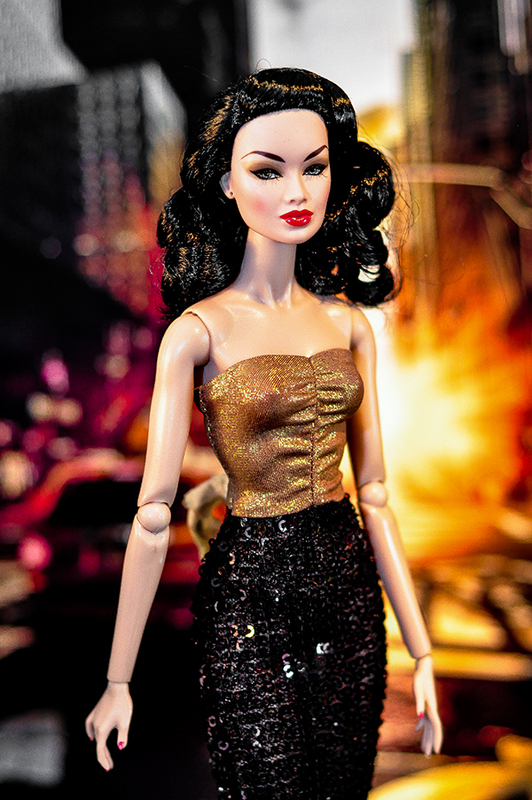 Dolls, tops, pants, jumpsuit, bijouterie and diorama are not included. 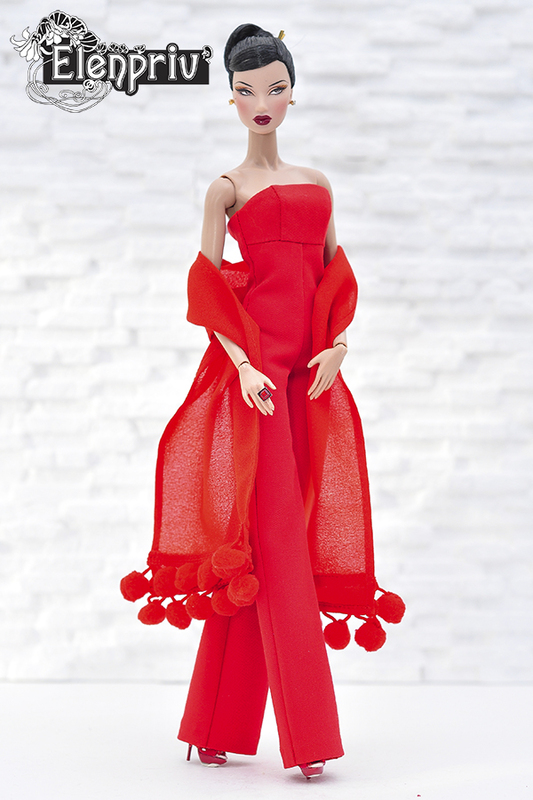 ELENPRIV black crepe dress with lace sleeves for Fashion royalty FR2, Barbie Made to Move and similar body size dolls. Handmade Black crepe dress with lace sleeves for Fashion Royalty square FR2 body dolls,Color Infusion, NuFace, Barbie Made to Move, Silkstone, Pivotal, Model Muse and similar size dolls.